Listing courtesy of ZipRealty Residential Brkg. Selling Office: . 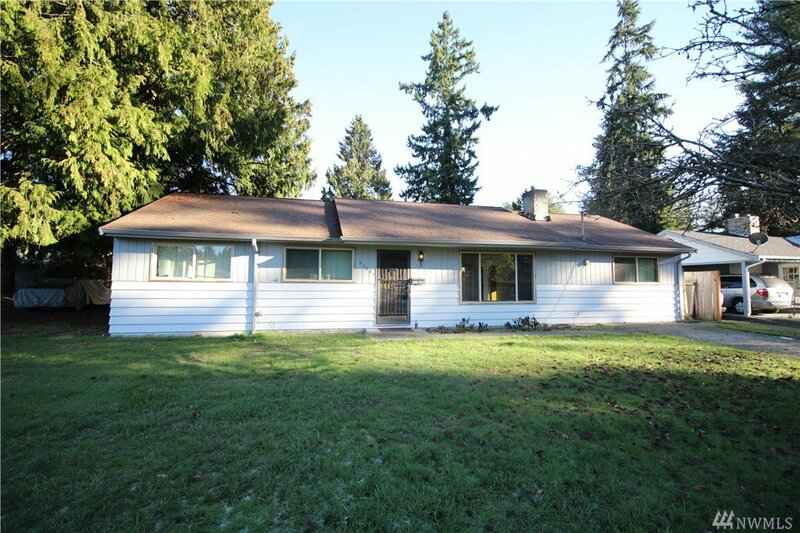 Opportunity; Rambler 1,404 Sq Ft Fixer sits on a 7,405 square foot lot & features 3 bedrooms, 1 bathroom. Gas forced air furnace, partially fenced yard, garage conversion to family room, carpet in main area with hardwoods in the 3 bedrooms & a cozy wood fireplace located in living room. This home is ready for your updates & special touches to make your own or fix up & turn into rental or fix & sell for a tidy gain. Light rail coming at end of street easy commute to Seattle. Hurry to see!